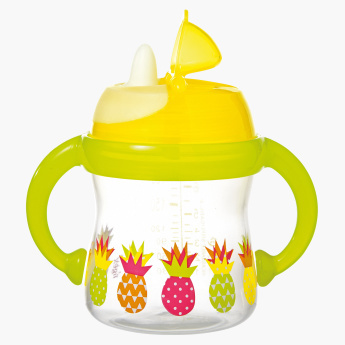 Grab this charming cup for your baby to help encourage drinking liquid food. The attractive cup has a pineapple print with bright tones that will keep your baby motivated to consume liquids. Feature 2 : Ideal for developing drinking stage.